I love coconut oil, that has got to be a given right? From cooking to beauty care this is an all around miracle product, in my eyes.I often find when holding conversations with people, that either they love it or they have never heard of it. I honestly don’t know how you could have never heard of coconut oil since it can be used for just about anything. I’m going to share my top 5 reasons of why you should be using coconut oil, if you haven’t already started! Oil Pulling: This is the “big thing” now, with dentists even recommending doing this on a daily basis! It is recommended to try oil pulling in the morning, before even brushing your teeth and on an empty stomach. Take about a tablespoon of coconut oil and swish it in your mouth, continue “pulling” for 20 minutes. When finished do not swallow the oil as it is toxic, simply just spit the oil into a trash can. Do not put the oil down your drain as if you’re doing this everyday, it could lead to blocking the drains and that is no fun! 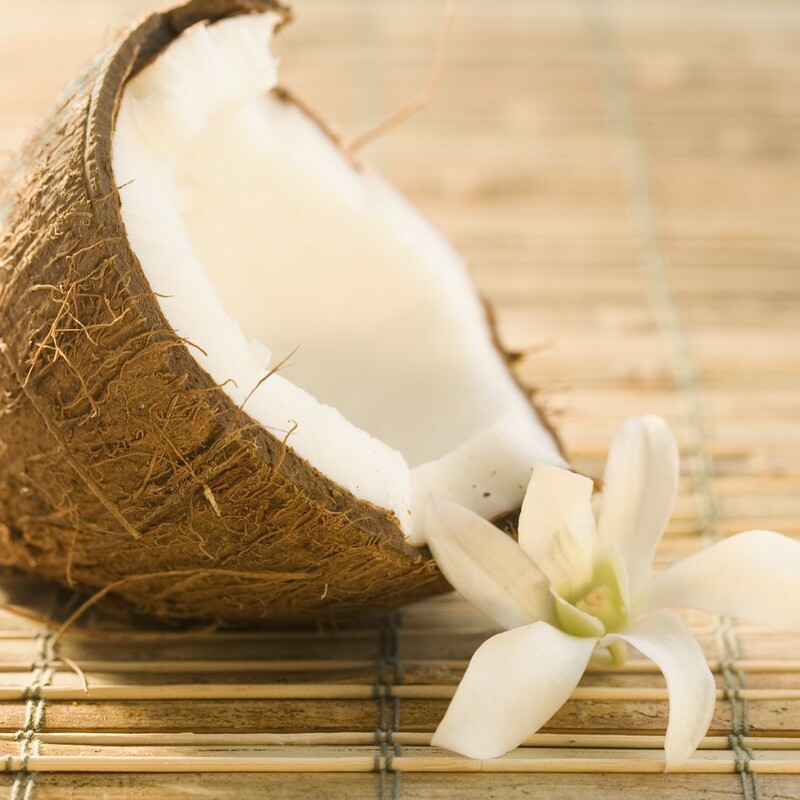 Oil pulling helps to remove toxins from your mouth since coconut oil has anti-bacterial properties. Hair Care: I know this may seem odd, as why would you want to put coconut oil into your hair but I promise it works! You can do a deep treatment if your hair is really needing some nourishment or you can simply apply a small amount to your fingertips and gently run your fingers through your hair to help prevent fly-a-ways! Make-up Remover: There is nothing that I dislike more than mascara not washing off when I am removing my makeup. However, I have found that coconut oil works like a charm and leaves your skin feeling so soft. Simply use a cotton ball or cotton swab and, in a swirling motion, remove the make-up from your face. This doubles as a moisturizer because it’s always good to moisturize your face at night! Fuels Your Metabolism: Coconut oil is a plant-based saturated fat so when it is consumed it goes into your body and is immediately used as a source of energy. Coconut oil also helps to keep you feeling fuller for longer which helps in reducing food cravings. I used to never eat breakfast, or I would just grab a donut into work, however now I make a bowl of oatmeal, with coconut oil, in the mornings and it is amazing on how much better I am feeling. Not only do I stay full til lunch but I feel better because I’m obviously eating something healthier than a sugar loaded carb! Improves Brain Function: When medium chain triglycerides, the healthy fats in coconut oil, are metabolized by the body, ketones are created. Ketones are an alternative energy source for your brain, so if you consume coconut oil you are helping your body to product more ketones. Ketones have been shown to help fight over diseases like Alzheimer’s and dementia. Of course, there are many other ways that you can and should be using coconut oil but the above ways are some of my favorites. I feel like they are some of the most health conscious reasons of why coconut oil should be incorporated into your daily lifestyle. Always remember that quality matters when choosing your coconut oil. Always purchase an organic, cold-pressed, and unrefined coconut oil, as this is the highest quality your are able to purchase. I have grown to love cooking with coconut oil and using it daily! Unrefined coconut oil may be heated to about 350 degrees F when cooking and baking. An unrefined coconut oil does NOT have any of the natural healthy benefits (medium chain triglycerides) stripped of it. A refined coconut oil goes through a different process, which may strip away the medium chain triglycerides from the coconut oil and leave it bleached or deodorized. Sticking with an organic, unrefined coconut oil is the best route to go!